Sorry, this property does not accept pets. Telephone for incoming calls only. £150 security deposit required. 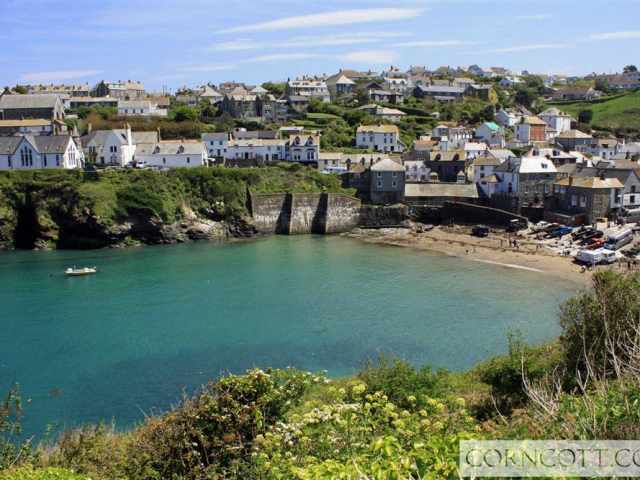 Set in an idyllic village setting with fabulous pub serving food all day, a handy post office/general store literally on the doorstep, and just a short drive to some of North Cornwall's loveliest beaches. 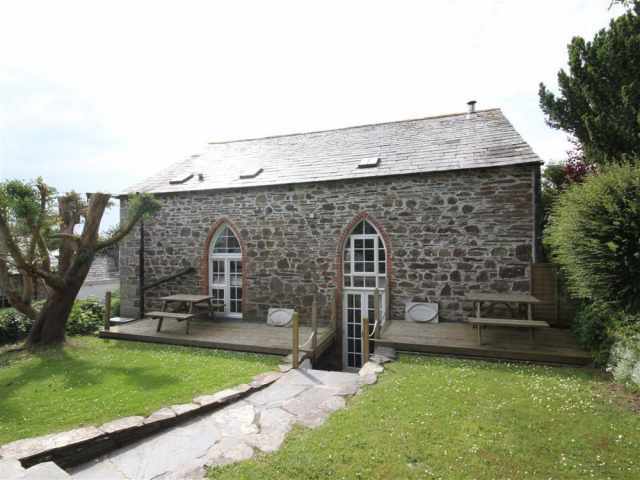 The Old Chapel is a perfect base for larger family groups to get together all year round. 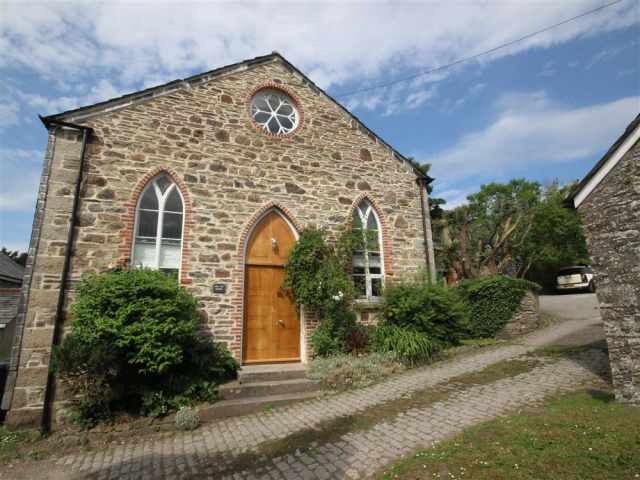 The village of Chapel Amble is a popular stay destination due to its close proximity to places like Polzeath, Daymer Bay, Port Isaac and Wadebridge and it avoids the traffic and congestion that can affect many areas in the busy season. 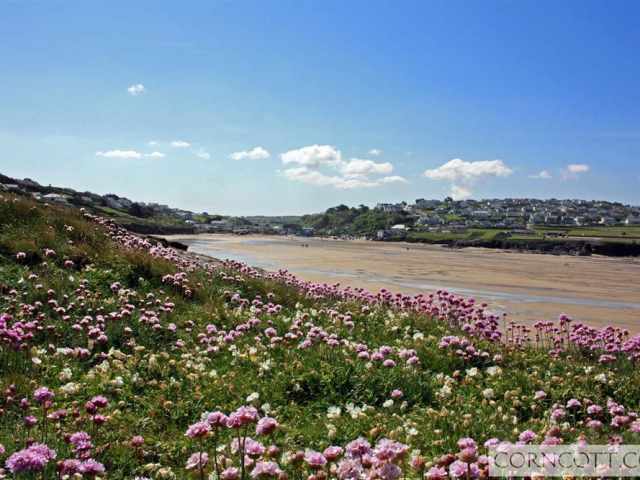 For those who like walking there are public footpaths that will take you to Port Isaac, the local bird sanctuary and the Camel Estuary. The Olde House, a short stroll away, has a children's zoo, a swimming pool and other amenities that are open to the public (small charge for the pool). 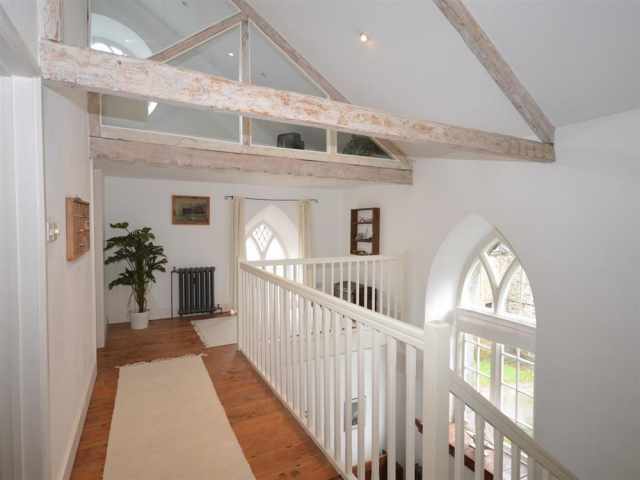 A Grade II listed former chapel, the building has been successfully converted to retain most of the original features. 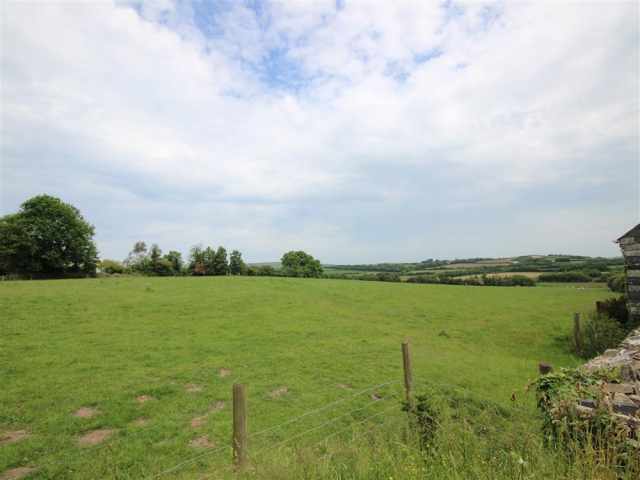 This spacious open plan property offers light and airy, comfortable and well laid out accommodation. 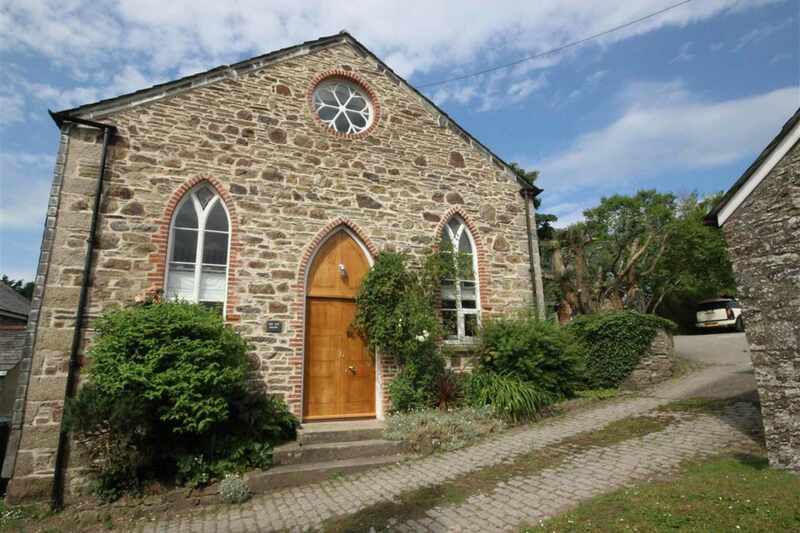 The Old Chapel can be entered through the superbly crafted new oak front doors or from the parking area at the back. 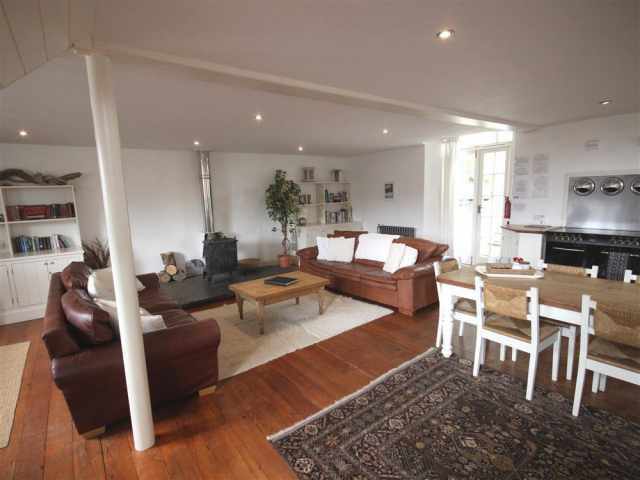 The spacious, open plan living area provides a terrific space for guests to relax and unwind. 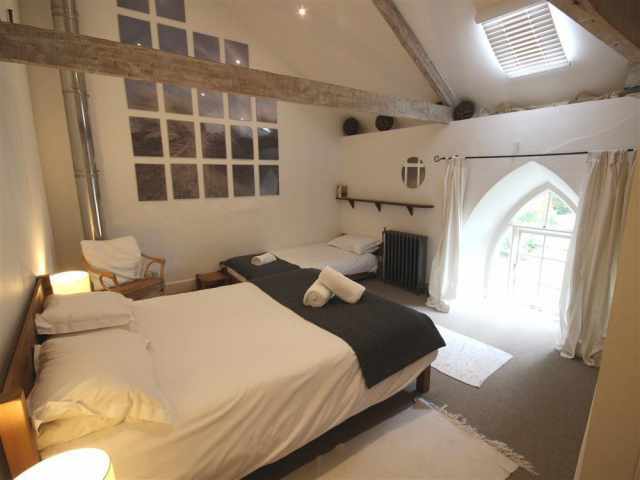 An array of original features including the gorgeous arch windows and stripped wooden flooring adorn the property with the modern furnishings blending in beautifully. 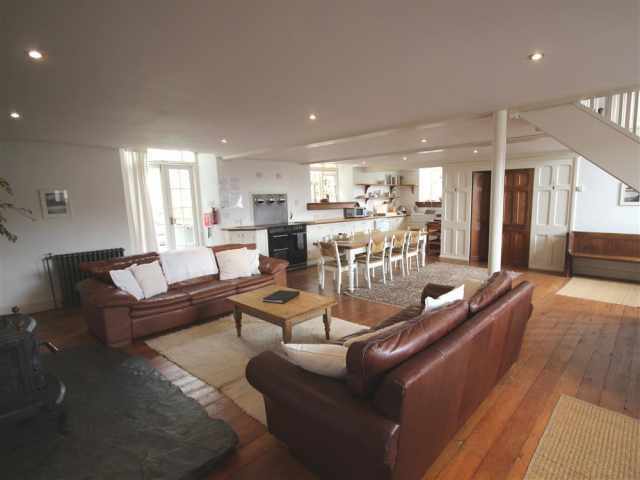 The feature wood burner is set on a large piece of Cornish slate and takes centre stage. Also to the ground floor is a handy shower room WC. 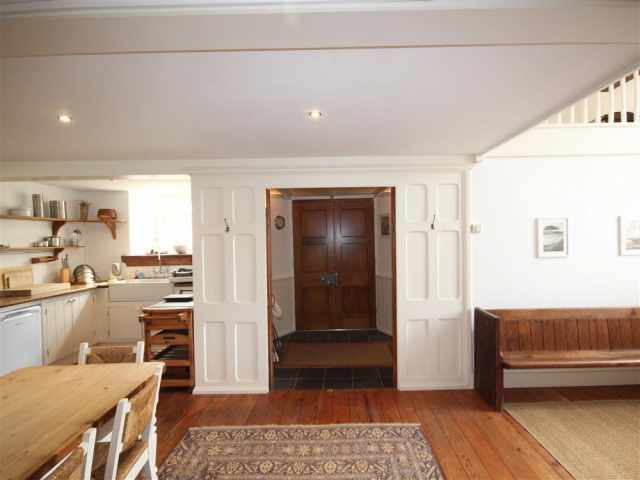 French doors lead out from the kitchen up five deep steps to the lawn garden (not enclosed) and sunny decked areas with picnic benches. In addition, there is a generous amount of covered storage outside underneath the decked areas for surfboards and bicycles etc. 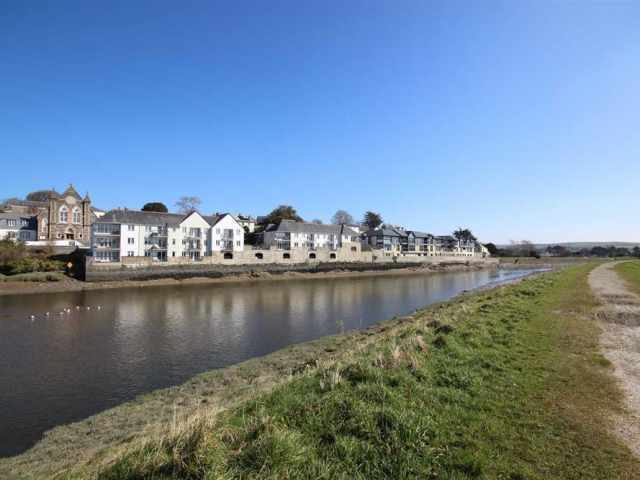 There is parking for two medium size cars to the back of the property with further parking available in the village car park if required. 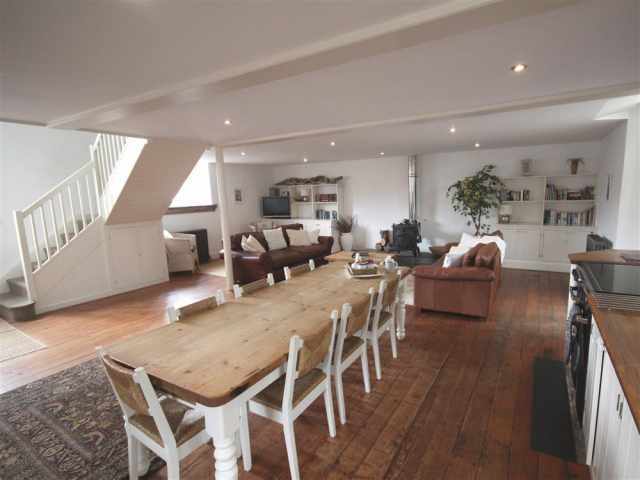 A Cornish twist and turn staircase leads up to a most attractive galleried landing area and the three bedrooms. 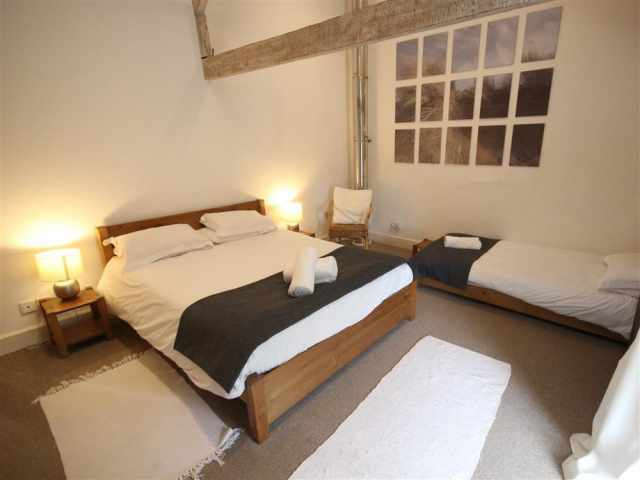 Bedroom one to the left has a double bed with a small mezzanine platform above accommodating a single bed. 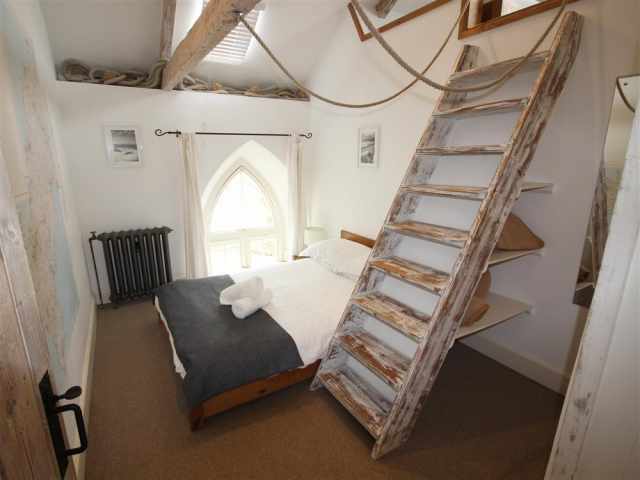 The middle carpeted bedroom has a king size bed and single bed with the carpeted third bedroom (known as the map room) comprising of a double bed with larger mezzanine area above providing a single bed and television area with comfy cushions. 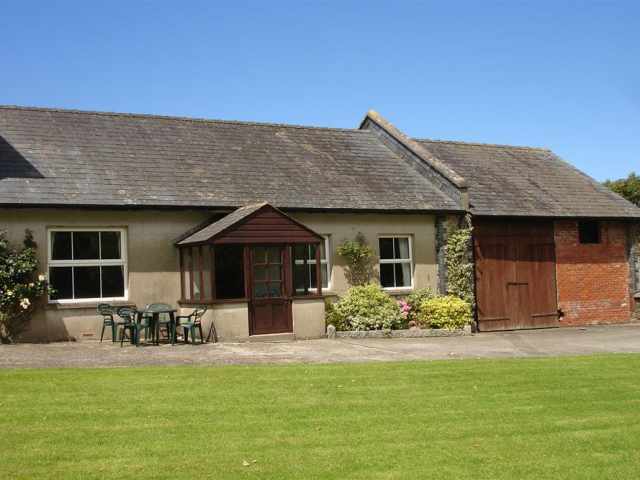 All three bedrooms have been comfortably furnished and provide ample storage space between them. 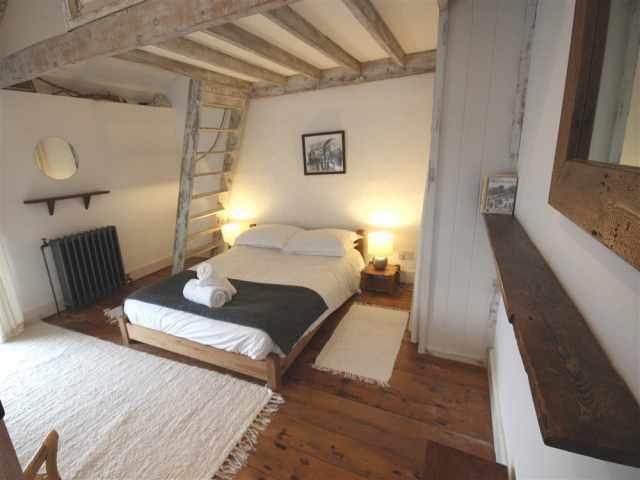 The mezzanine areas to two of the bedrooms are accessed by ship style ladders (please see pictures). 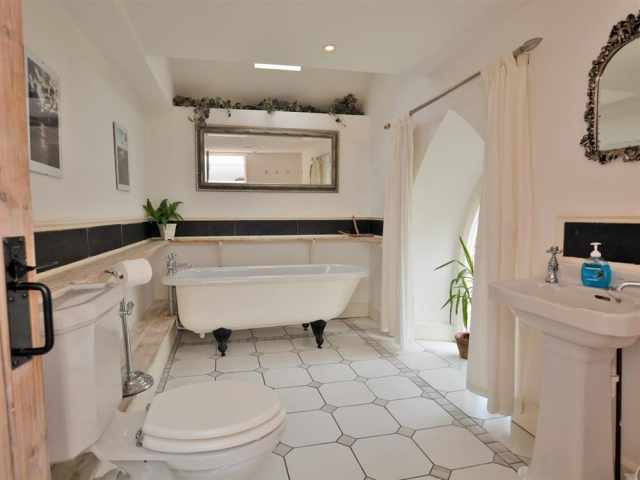 An attractive family bathroom WC with tiled floor, free standing feature roll top bath, basin and heated towel rail completes the upstairs layout.